There are countless reasons why you should pursue a career in nursing. Nursing is not just an emotionally rewarding profession, it can also be a financially rewarding if you are willing to put in the effort required to advance in your career. There are a few paths that you can take in order to enter the nursing field: You can opt to get an LPN certification then take the NCLEX-PN to become a licensed practical nurse, or you can choose a 2-year ADN program or a 4-year BSN program then take the NCLEX-RN exam to become an RN (registered nurse). Whether you’re a fresh high school graduate who’s considering becoming a nurse or you’re simply unsatisfied with your current profession and think a career in health care would bring you the professional satisfaction that you so desire, earning an Associate Degree in Nursing (ADN) can be the fastest and most affordable way to become an RN. What is an Associate Degree in Nursing? An associate degree in nursing (ADN) can be earned after completing a two-year program, which will prepare you for the NCLEX-RN exam. After you pass the national licensure exam, you can start working as a registered nurse (RN). The ADN is a great option for people who want to start working as a registered nurse as soon as possible or who are simply not willing to commit to a BSN program right from the start. You can view the ADN as being the first step on your nursing career ladder. After you earn it and start practicing, you have the option of furthering your education by going back to school while working and getting your BSN, such as enrolling in an RN-to-BSN bridge program. If you have made the choice to jump-start your career with an ADN, this guide covers all the steps you have to follow in order to successfully apply, enroll and earn an associate degree in nursing. How to Get Your Associate’s Degree in Nursing? 1. Get a high school diploma or a GED diploma. 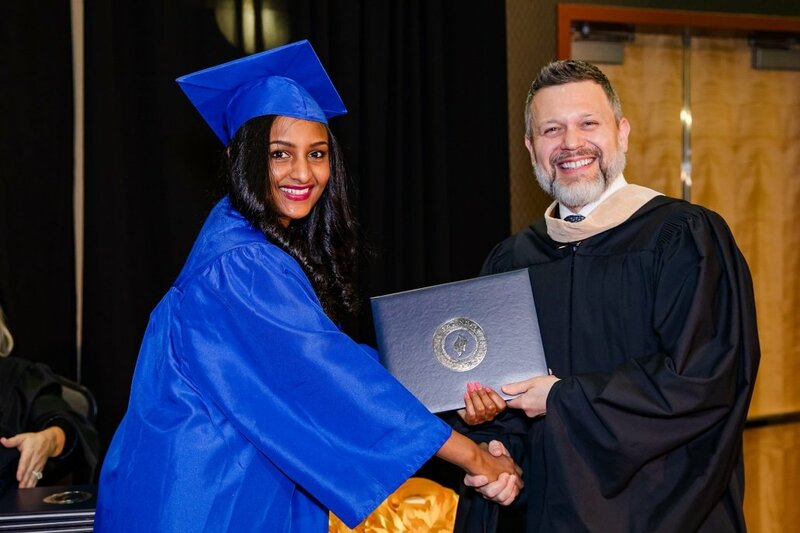 While some courses require little to no prior learner knowledge, others such as English, science, math and social sciences have prerequisite requirements, so you cannot enroll in an ADN program without having one of these diplomas. 2. Apply to an accredited ADN Program and go through the registration process. Employers favor nurses with degrees from accredited institutions, so the college you choose can impact the odds of you getting the job you want. 3. Apply for financial aid, if needed. Explore all options for paying the cost of your education. If you qualify for FA, be sure to make all the financial arrangements before classes start. 4. Attend the program and complete its requirements. 5. Register for and take the NCLEX-RN exam. You need to get licensed by The National Council Licensure Examination in order to be able to practice as an entry-level nurse. The NCLEX exam tests your competence in nursing skills and knowledge; you must pass the exam in order to become a licensed nurse. 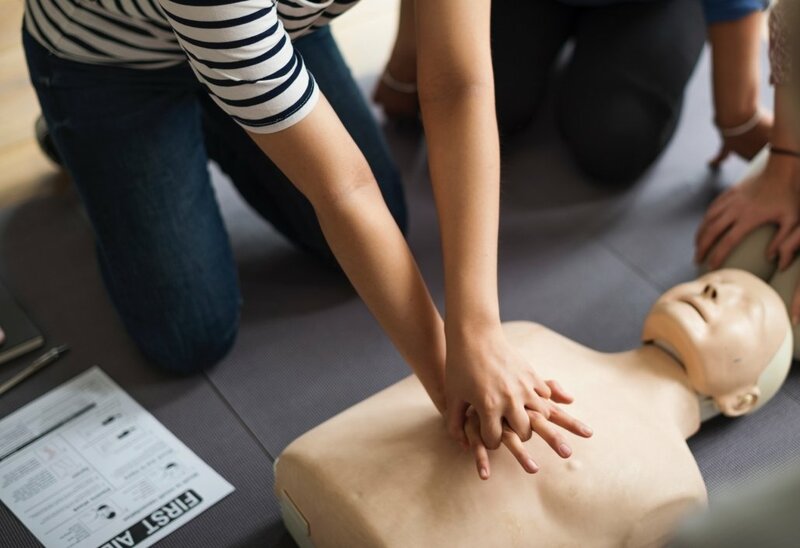 For most high schools, a CPR certification is a requirement for graduation, but even if your high school doesn’t offer CPR training, find an organization that does. Learning these basic skills will prove really helpful for your future career as a nurse. You will get an inside glimpse into patient care, so consider it a test run in the field of health care professions. You can also get a part-time job as a lifeguard, which will give you some hands-on experience with CPR. Apart from being a rewarding experience in itself, volunteering in a health care environment will give you a behind-the-scenes look at nursing and help you understand this profession better. Seeing what nurses do in a day’s work will either be a deal breaker, or it will strengthen your conviction to pursue a nursing career. You probably have an acquaintance or an acquaintance of an acquaintance who works as a nurse and can introduce you to the nursing field. If that’s not the case, you can always set up some informational interviews with a few of the nurses at your local health care facility. They will most likely be flattered by your interest in their work and will provide you with all the insights and information you need. 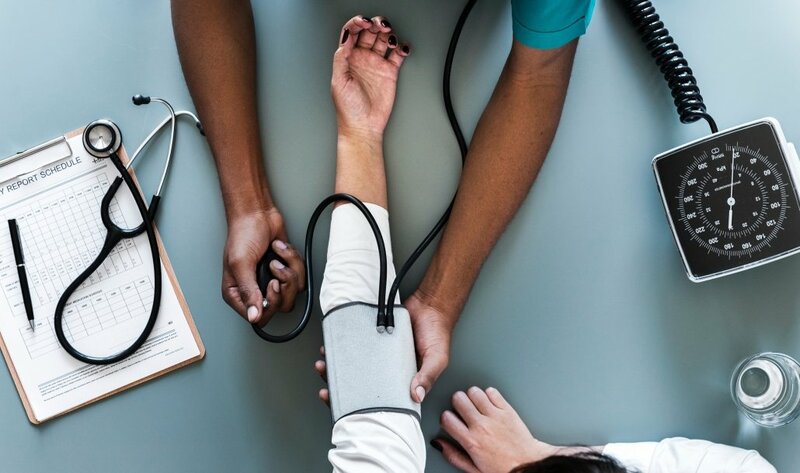 At Nightingale College, we offer a 16- to 20-months’ ADN Program that is fully accredited by the American Association of Colleges of Nursing (ACEN) and will prepare you for entry-level nursing practice in hospitals, clinics, and other health care settings. Our curriculum meets the standards of the Accreditation Commission for Education in Nursing (ACEN). We have a 78.95% NCLEX-RN® pass rate, which is a good indicator of our Program’s efficiency. The Nightingale College ADN Program is a hybrid-virtual program which allows learners to complete all their didactic activities online and do experiential learning activities at our health care partner facilities, which are close to where learners live and gain the on-ground, hands-on experience. Get in touch with us if you want to become an nurse! Is an Associate Degree in Nursing Worth It? ADN has been the standard for entering the nursing field for many years now, but the BSN in 10 law is about to change that. 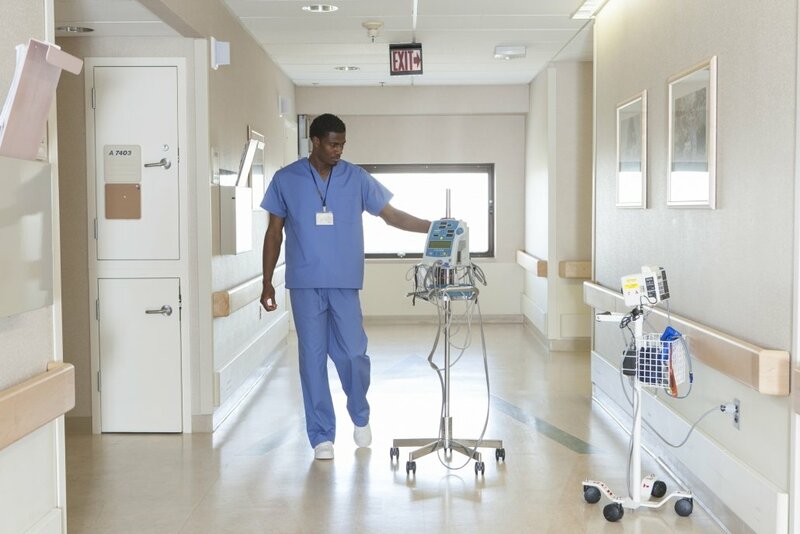 The law entails the increase of U.S. nurses holding BSNs to 80% by 2020, which is why many hospitals are prioritizing hiring nurses with BSNs in order to obtain the Magnet Status and achieve a reputation of improved patient outcomes. So many people are wondering whether or not the ADN is still worth it, and the answer is the ADN program is still relevant. The shortage of nurses in the U.S. is a real thing and according to the Bureau of Labor Statistics, the number of available nursing jobs in the U.S. is expected to the grow 15 percent from 2016 to 2026. It is simply not possible for all the ADN registered nurses out there to make the switch to BSN so quickly, or for colleges to provide that many BSN graduates by 2020. However, gaining a BSN degree may take a few months longer but will put you on the right career path and secure your future as a nurse. Who Can Get an ADN? An ADN program is meant to prepare learners for entry-level nursing jobs, which means no prior experience in the field or extensive knowledge of it is required. However, becoming a nurse requires a great deal of self-discipline, as well as organizational and time management skills, so take that into consideration when you apply for an ADN program. Who is the ADN Program Best Suited For? The ADN is a great start to your nursing career, but before embarking on this journey, you need to do a self-examination. You know yourself better than anyone else, so this should not be hard: try to think about your personal traits and professional goals. If you feel you are an empathic, respectful person, with good communication skills and the ability to think on your feet in any kind of situation, it means you have the core traits of a nurse. Now ask yourself whether you think this is the right profession for you and if you wish to enter a field where the learning process never stops and where you have to constantly better yourself. If the answer is yes, then being a nurse is probably a perfect fit for you. Choose the ADN program if you have your mind set on the nursing profession and you want to be able to start working in the shortest period of time. You always have the chance to continue your education after you’ve gathered some hands-on experience in the nursing field and earn your BSN degree through an RN-to-BSN program. 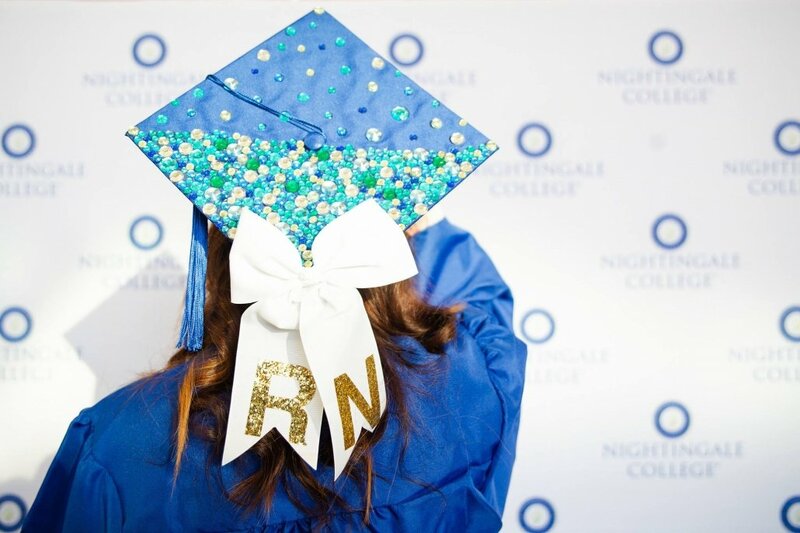 In order to achieve your goal to start working as a registered nurse, there are two paths down which you can go: get an ADN or get a BSN degree. The tuition fees for the ADN program are lower than the ones for the BSN program, so if you can’t afford to pay for a BSN program right now, enroll in the ADN program. If you already are a practicing LPN who wants to become an RN, and for some reason or another you don’t feel ready to commit to a 4-year BSN program, then ADN is your answer. Some colleges, such as Nightingale, offer advanced placement in the ADN program for qualified LPNs, so you can get your degree faster. What are the Steps to Enroll in the ADN Program? Schedule an interview with an Admissions Advisor (by calling (801) 689-2160 or sending an email to admissions@nightingale.edu or simply Click Here to complete our Request Info form). Meet the admissions requirements (find them in the College Catalog). Complete Application for Admissions online. Pay the $100 non-refundable application fee. Submit official transcripts of all previous post-secondary coursework. Schedule the entrance exam with your Admissions Advisor. Can You Get Your ADN Online? Given that nowadays you can complete many courses and get degrees fully online, you may wonder whether that’s the case with ADN as well. 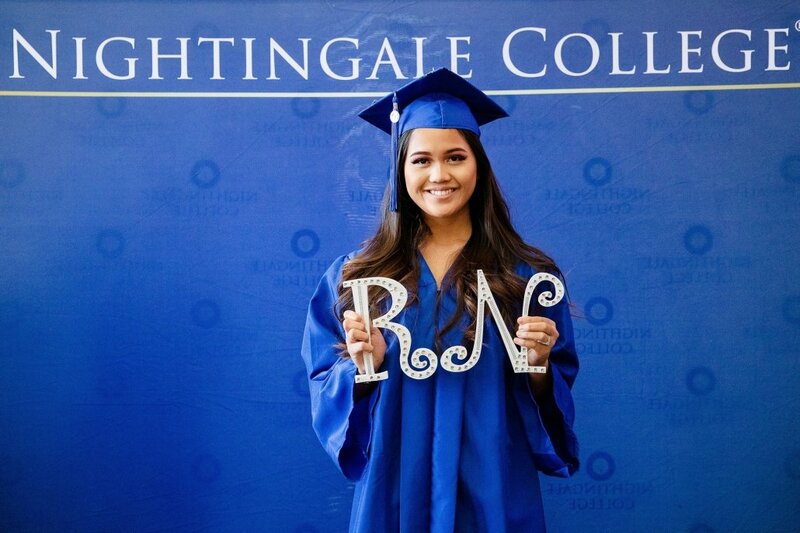 While there are some colleges that offer this option, Nightingale does not. We believe that during college, nurses must learn some hands-on skills, such as starting an IV or inserting a catheter, which is why our ADN Program is made up of two types of classes – classes that can be completed online and on-ground classes, which require learners to do experiential learning hours in a medical facility. If you want to find out more about this read our Can you get an ADN 100% online? blog post. Tuition: How Much Does an Associate’s Degree in Nursing Cost? 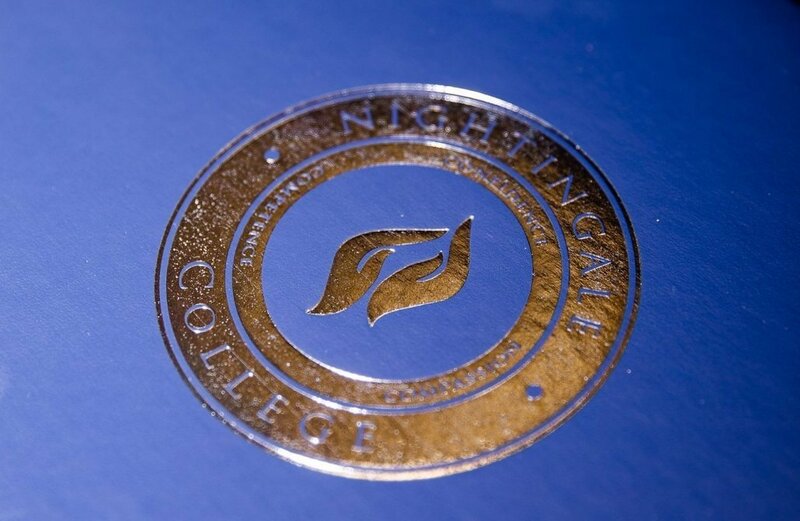 The tuition for Nightingale’s ADN Program costs $825 per semester credit, without taking into account the nonrefundable application fee or any of the course resource fees. Before enrolling into the ADN program, make sure to check the costs for our ADN 16-month program and ADN with GE 20-months program. Can you get financial aid for the ADN program? Looking at the tuition fees can be somewhat overwhelming for someone who’s fresh out of high school, or someone who is in a financial pinch. But before you start worrying, look into all the Financial Aid options available for students and see which one better suits your needs and background. You can opt for either loans or scholarships for Associate’s Degree in Nursing, but keep in mind that to maintain your Federal Student Aid, you must meet the Satisfactory Academic Progress (SAP) requirements for each semester. If you find this process too confusing, you can always get help and information from the financial staff at the college of your choice, or the U.S. Department of Education. Nightingale also has an online Net Price Calculator that you can use to see how much learners with your profile paid to attend the College in a given year. It will show you the sum after grant aid and scholarships but before student loans. How Long Does It Take to Get an ADN Degree? 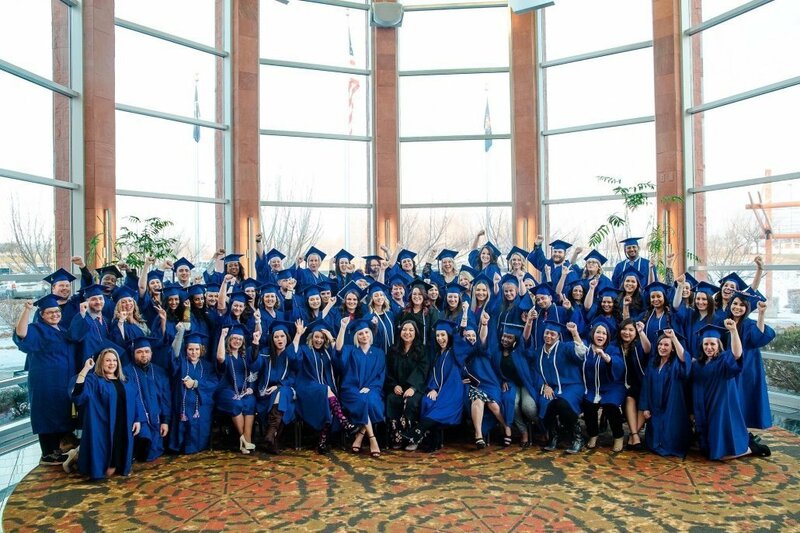 You can graduate from the College’s ADN Program in as few as 16 months if the required GE courses have been completed, or you can enroll in the ADN with GE Program, and graduate in 20 months. You have the option of completing the General Education (GE) courses at the college of your choice or at another accredited institution of higher learning. Nightingale College also offers advanced placement for qualified LPNs so you can get your ADN faster if you already are a licensed practical nurse. What Classes Are Required in Order to Get an ADN? What Skills Will You Acquire During the ADN Program? The goal of the ADN Program is to prepare learners to become competent and client-centered nurses, who can provide patients with the best care possible. ADN graduates are equipped with nursing judgment expertise, they learn how to communicate effectively, with patients and fellow RNs, and they also acquire leadership and management skills that can help them further down their career. What Do You Do After You Finish the ADN Program? The obvious next step after finishing the ADN Program is taking the NCLEX-RN, and getting your nursing license. In fact, a few weeks before graduation, you will receive the exam application forms from your university and you will be required to pay the licensure fees. The NCLEX-RN is meant to determine if you are qualified to be a practicing nurse, and it is quite different from the exams in nursing school because it focuses on testing your critical thinking abilities, nursing judgment and analysis skills, instead of your just knowledge. The grading system is pass or fail, so the results are straightforward and won’t leave cause for discussion. Where Can Nurses with an Associate’s Degree in Nursing Work? How Much Does an RN with an ADN Win? All RNs who have similar entry-level jobs should be paid the same. There shouldn’t be a difference of salary between an RN with ADN and an RN with BSN who hold the same position. If you are interested in the number aspect of RN salaries, you can visit our article about nurse salaries by state. Now that you have all this information regarding an ADN, your journey toward becoming an RN can begin. Think well about your motivation and career plan and then enroll in the program that best suits your needs. Give it your best, attend classes, meet all the requirements and you’ll be on the right track to becoming a practicing RN. Become a learner in our ADN Program! Send in your application today!